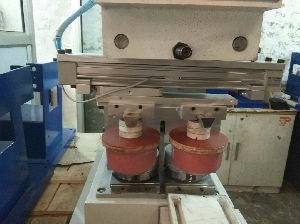 We bring forth precision-engineered Two Color Sealed Cup Pad Printer that has pneumatic operation. 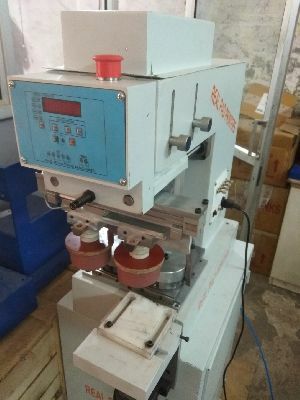 The different models of Two Color Pad Printing Machine that we offer are designed to provide a faultless pad printing solution. Designed using the latest technologies, the Two Color Pad Printing Machines can print on different types of materials in varied sizes and shapes. The printing speed of Two Color Pad Printing Machine depends upon kind, condition and thickness of stock, type of inks used, desired printing quality and other operating conditions. To add further, we are a reliable Two Color Pad Printing Machine Manufacturer, Exporter & Supplier in Faridabad, Haryana. Applicable for small round surface as well as flat surface printing, such as cell phone button, golf, toy, Pens, PC Mouse, Small electronic accessories etc.